Large amethyst buds open to 8cm. long pale pinkish-grey narrow bells. Grows 60cm. high. A rare hybrid, always in short supply. 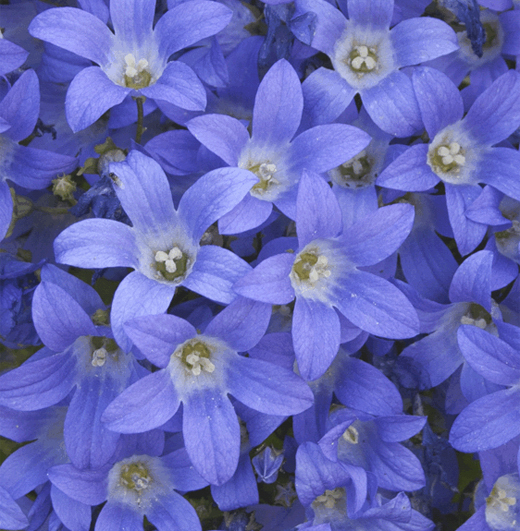 Short stout stems support clusters of sky-blue flowers for a long summer season. 40 cm. high. Good at front of border. 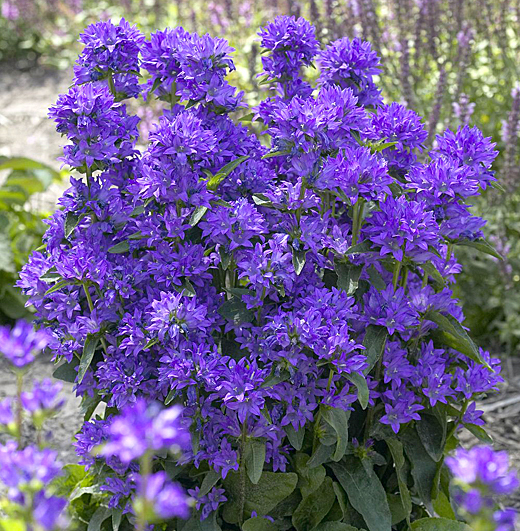 Short upright stems carry intense blue bell flowers, particularly floriferous and hardy. Neat border front perennial. Ordinary soil in sun or part shade. 30-40cm. high. 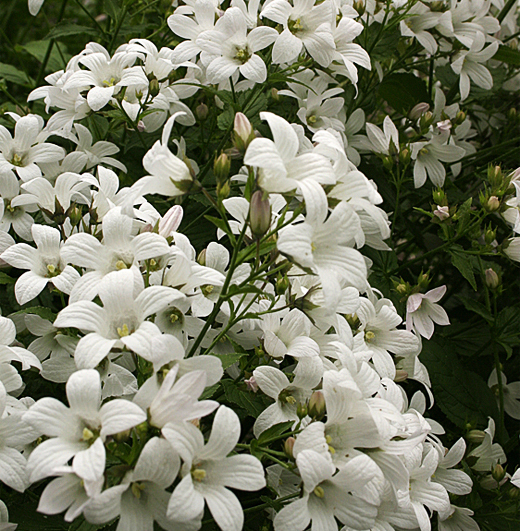 Compact clump forming perennial producing upright stems of pure white bell-flowers during summer. Easy in ordinary soil, sun or part shade. 50cm. high. Compact clumps of large white upward facing flowers, enhanced by a blue eye. 25-30cm. high. Sun or part shade. The excellent and not often seen white form makes a good upright perennial. Branching stems carry huge heads of white flowers from July to October. Repeat flowers well if cut back after the first flush. Fantastic back of border plant. Sun or part shade, ordinary soil. 120cm. high. Nice new C. lactiflora hybrid with heads of starry white flowers from June to September Relatively compact, 100cm high. New cultivar with deep violet-blue flowers on strong upright stems. July onwards. Relatively compact for the species at 100cm. high. Very floriferous. Compact, pale-pink form, flowers in abundance for most of the summer. 60cm. high.